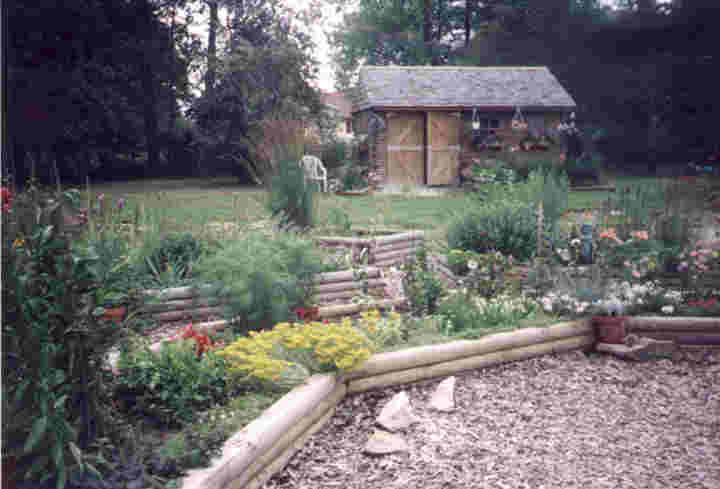 Actually this is a potting shed that I built my wife after we saw a similar design at a vineyard in California. I built it out of 'landscaping' timbers. The door are treated lumber. The roof is hand laid cedar shake. There are no plans, just a photograph of the original which was loaded with climbing roses. My wife’s hobby!